Kaplan's LSAT PrepTest 80 Unlocked features comprehensive explanations for every question in the LSAC's Official LSAT PrepTest 80. 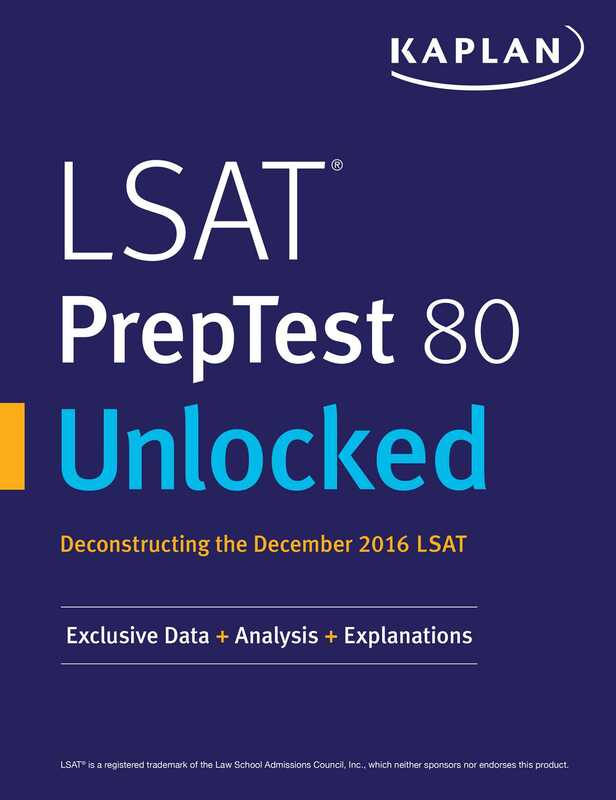 Reviewing a practice test is the key to improving your score, and in PrepTest 80 Unlocked Kaplan's LSAT experts deconstruct the December 2016 LSAT to help you learn why you missed questions and how to get the right answers more efficiently. Note: PrepTest 80 is not included in this book. You'll need to purchase that separately. We know the test: Kaplan's expert LSAT faculty teach the world's most popular LSAT course, and more people get into law school with a Kaplan LSAT course than all other major test prep companies combined.